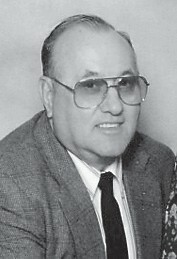 Wendell Hagan Calhoun, 88, of Letcher, died January 29 at the Greg and Noreen Wells Hospice Care Center in Hazard. A son of the late Denver and Malona Reynolds Calhoun, he was the widower of Orpha Calhoun. He later married Doreen Calhoun, who survives him. He was also preceded in death by two daughters, Debbie Lowe and Melanie Blair; three brothers, Arnold Calhoun, Ralph Calhoun, and Lawrence “Bo” Calhoun; and two sisters, Gloria Hicks and Grace Ryan. Surviving in addition to his wife are two sons, Doug Calhoun and wife Barbara of Hazard and Tim Blair and wife Jennifer of Brandenburg; three daughters, Susan Ison and husband Ronald of Jeremiah, Tammy Suggs and husband Jim of Sophia, N.C., and Regina Brown and husband Ernie of Blackey; a brother, Loren Calhoun of Florida; son-inlaw, Stan Lowe; 13 grandchildren, Chris Ison, Jason Ison, Corey Ison, Jacob Calhoun, Josh Calhoun, Graham Suggs, Tommy Suggs, Joel Suggs, Elizabeth Lowe, Anna Lucas, Bethany Blair, Brady Blair, and Bailey Blair; 14 great-grandchildren, Faith Nelson, Evan Ison, Ollie Ison, Emma Ison, Leah Ison, Hanna Ison, Christian Ison, Kennedy Calhoun, Judah Calhoun, Jonah Calhoun, Naomi Suggs, Amelia Suggs, Isaiah Suggs, and Ryan Suggs; and a greatgreat grandchild, Juno Nelson. Funeral services were held February 1 at the Jeremiah Missionary Baptist Church. Burial was in the Green Gayheart Cemetery at Hindman.